THE TICKET PRESALE ENDED AT 4 P.M. FRIDAY, APRIL 20. 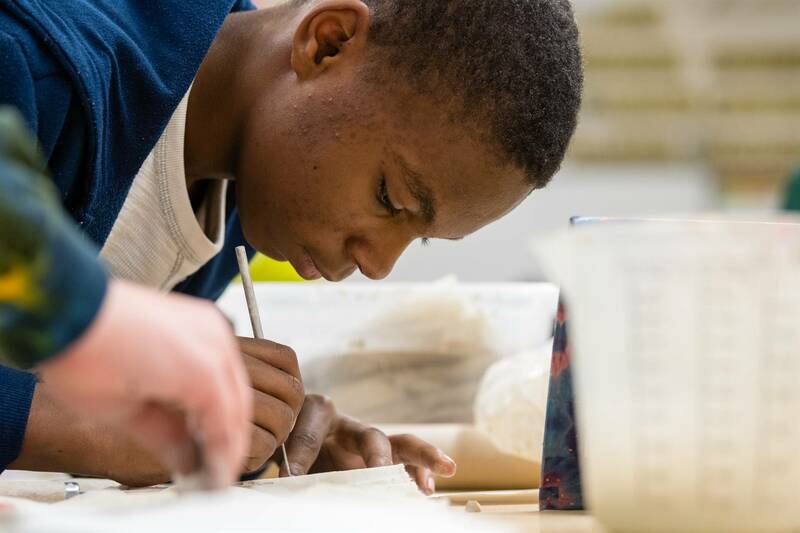 All are welcome to join the Woodbury School community on April 23, 2018 for Woodbury Creating Change—Woodbury School’s fourth community and all-school event that mixes art, social justice and charity! This event is open to the public. Register, then buy your ticket for only $6, if paying by cash/check, or $6.25 if buying online (PayForIt charges a 4% convenience fee). 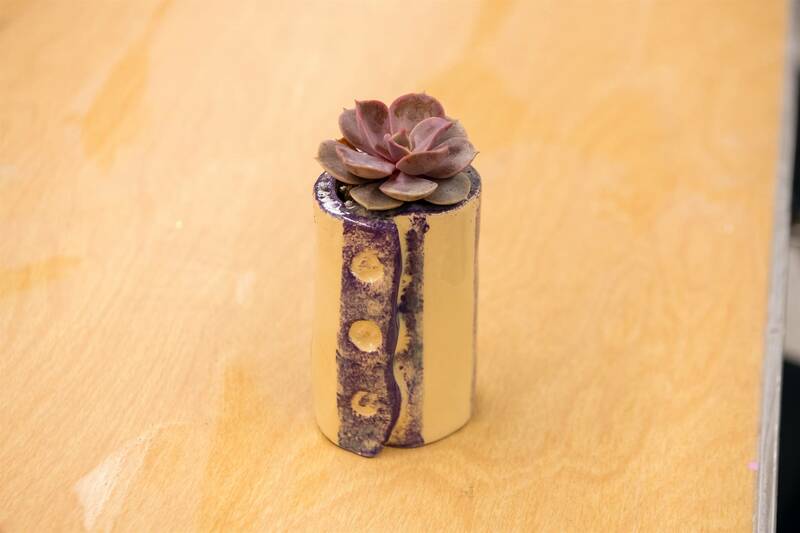 All proceeds will be donated to one of four charities and, in return, guests will take home one of more than 1,000 handmade succulent planters crafted by Woodbury students and community members. 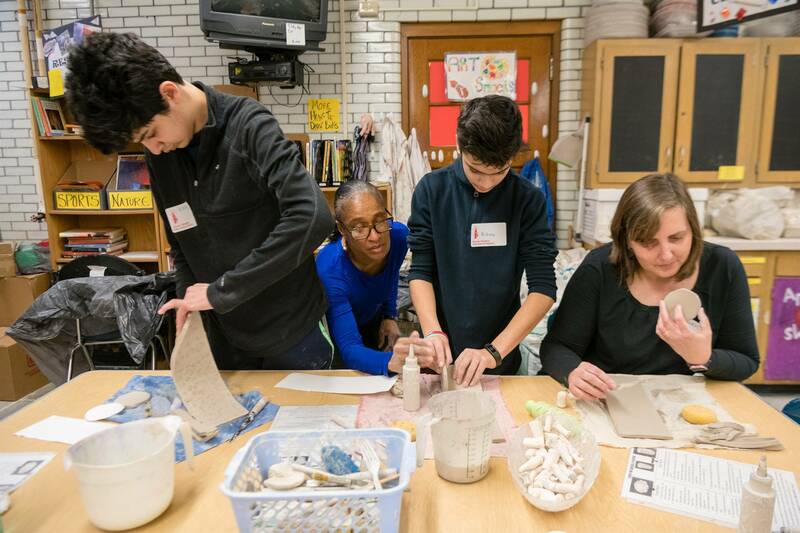 Woodbury students shape, glaze and fire ceramic planters in art class, taught by Deanna Clemente Milne and Robert Bognar. Woodbury staff and community members were invited to make planters, too! Each planter is created by several hands: one person shapes it, another underglazes it and a third clear-glazes it. Each homeroom has cared for 85 succulents. Guests to WCC will plant one of these succulents in the planter they’ve selected. All three charities were selected and voted on by Woodbury students. Plan to spend approximately one hour enjoying the experience. There are four staggered start times to minimize traffic. Please select a 5 p.m., 5:30 p.m., 6 p.m. or 6:30 p.m. start time when you register. 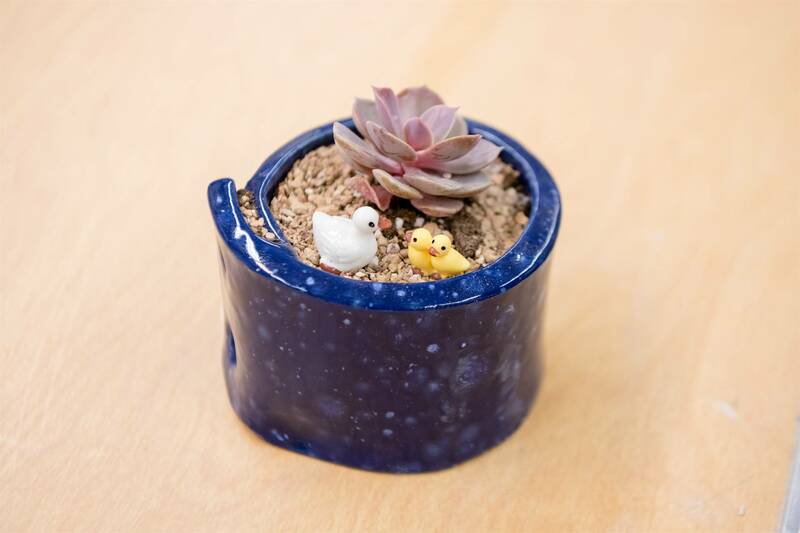 Ticket price includes a planter, succulent and a dessert (for example, a family of five that purchases one ticket may select one planter, or they may purchase five tickets and select five planters). Food will be available for purchase. Pizza costs $1/slice and food truck items will range between $8-12 per item. Want to help out at Woodbury Creating Change? Sign up here. Woodbury Creating Change is led by a committee comprised of Woodbury staff and parents in a unique collaboration. 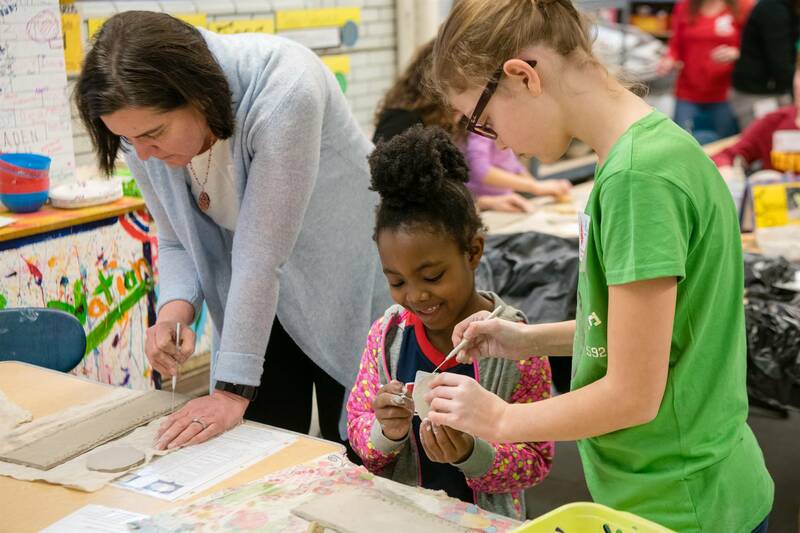 Funds from the Woodbury PTO, Shaker Schools Foundation and the Shaker Heights Teacher Association provide seed money for Woodbury Creating Change. Thank you to our generous restaurants, chefs and businesses: Aladdin's, Barrio, Bremec Garden Centers, The Cleveland Running Company, EDWINS, The Fairmount, Gigi’s on Fairmount, Guys Pizza, Juma Gallery, Luna Cafe and Bakery, Lucy’s Sweet Surrender, Swensons, Mitchell’s Ice Cream, Motophoto, Second Sole, and Tekro Inc. The ticket presale ended at 4 p.m. on Friday, April 20.